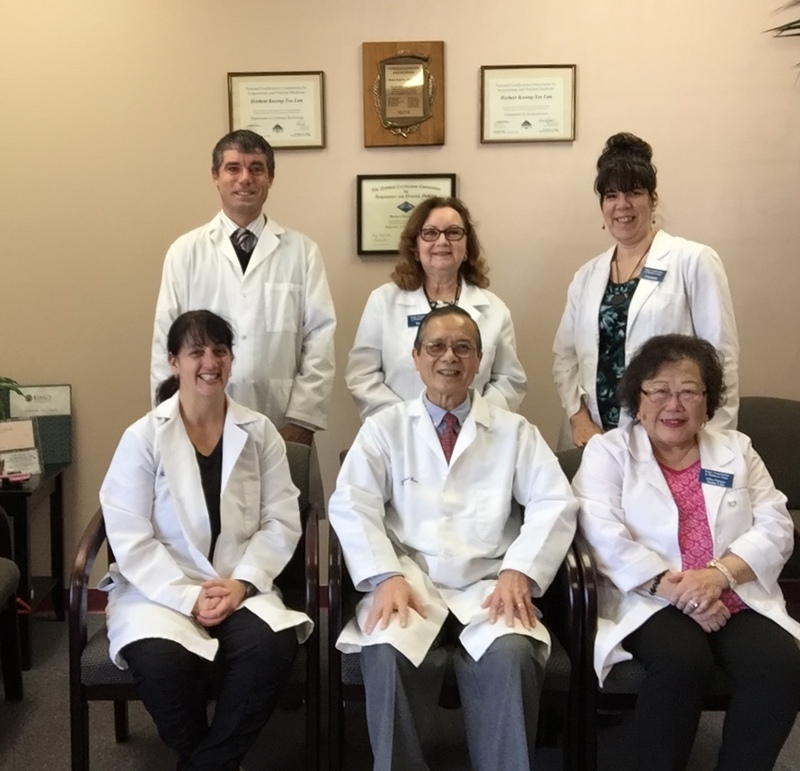 Thank you for the wonderful experience of being treated at your East Amherst Office. Your staff was always helpful and concerned. My husband had been treated a few years ago for problems in his wrists at the Kenmore office. After his treatments his hands improved and he was able to continue the work that he was doing with less pain. After I had a total knee replacement a year and half ago I began to have problems with back pains and pains in my leg. After speaking with my knee surgeon I was advised that I have a bulging disk in my back which was causing the sciatica pain and hamstring cramping. Although he suggested several medical interventions I was not comfortable with those alternatives. I remembered how my husband had found relief through acupuncture. I had my consultation with Dr. Lau and he explained the concept and the possible help that acupuncture could offer me. He also reviewed the types of medicines that I had been prescribed and addressed possible side effects of these that could be making my condition worse. After adding one supplement, diet adjustments and calcium he felt that acupuncture would continue to relieve some of my pain. We began treatments. After the third treatment I awoke one morning and upon sitting up in bed realized that the pain the sciatica caused was almost gone. I continued treatments and that area was free of pain. The hamstring and related muscle cramping was a bit more difficult to pin point and treat. Dr. Lau suggested that I take an herbal treatment which brought relief from the leg cramps. Through on going treatments these areas of pain were addressed and pain relief was obtained. Throughout the treatments Dr. Lau and his staff were always helpful, gentle and concerned for my comfort. I now know that I have a place to return to if these problems or others re-occur. Thank you so much!